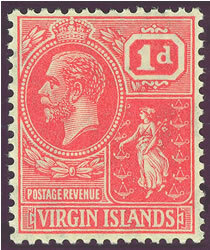 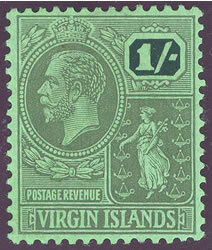 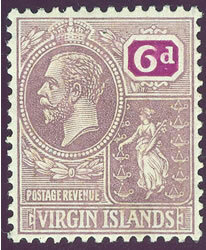 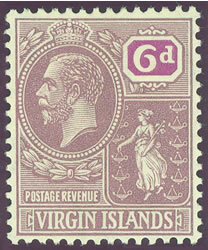 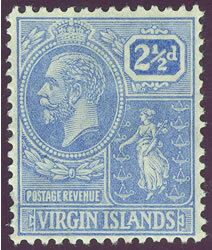 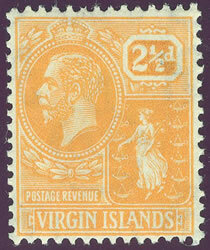 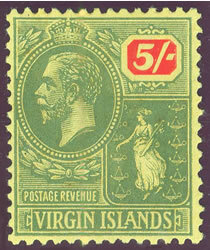 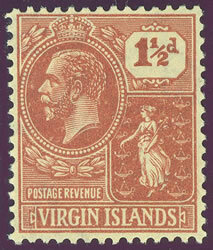 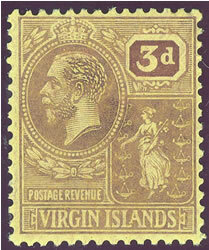 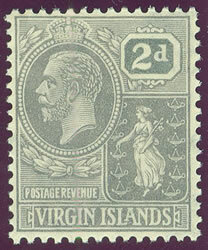 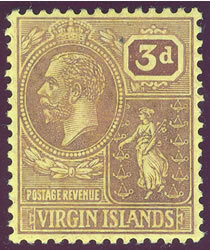 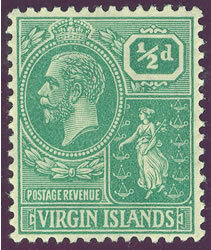 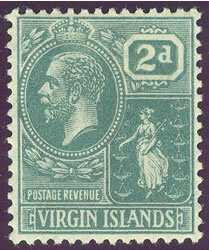 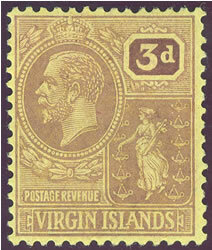 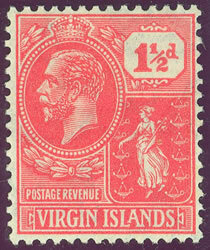 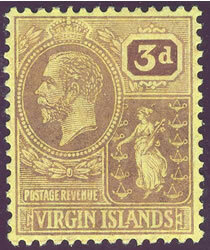 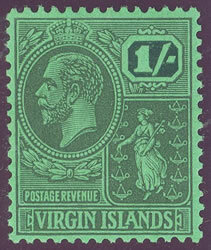 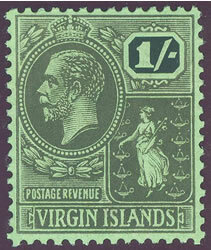 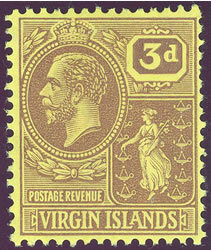 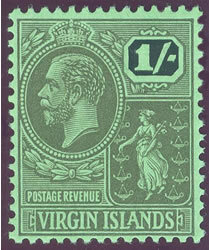 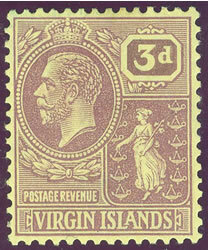 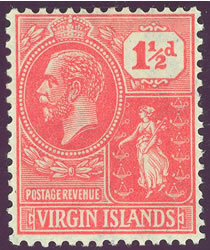 Identifying stamps from the Virgin Islands George V 1922 set is a matter of sorting between the two watermark options: Multiple Crown CA (MCA) and Multiple Script CA (MSCA), and then determining the color shades for the some of the values. This set of stamps replaced the King George V keyplate set beginning in 1922. 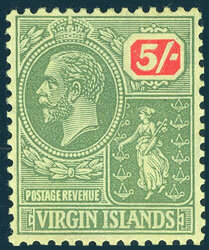 It was replaced with the King George VI issues in 1938. 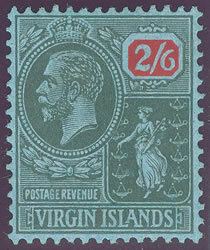 If you have trouble determining the watermarks on these stamps, try looking at them face down against black paper. 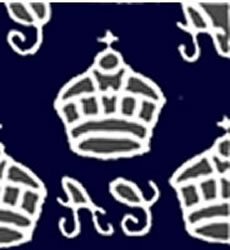 The stamps watermarked Multiple Crown CA will have sans serif letters with a crown that is narrow and straight edged. 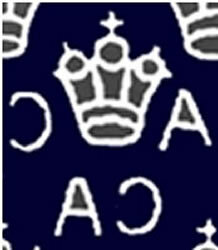 The Multiple Script CA watermark has cursive letters and a crown that is more rounded. 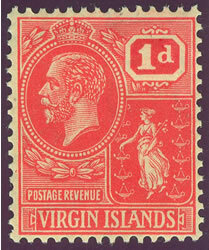 See the images of the two watermarks below for reference. 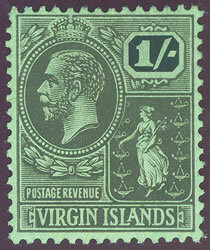 They are shown as normally seen from the back. 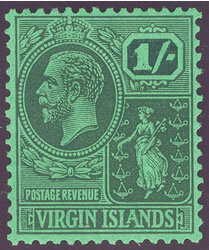 Most of the stamps from this set were printed on paper watermarked Multiple Script CA, so only the ones that were printed using paper with both watermarks are indicated below with the watermark used. 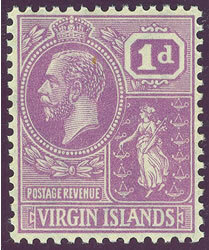 Once you have determined the watermark, the next step is to sort the colors. 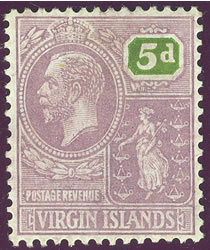 Color shades can be difficult to sort, especially when you only have a couple of stamps to compare. 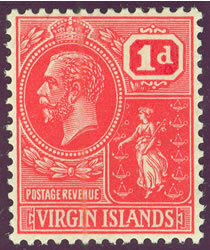 They typically occur when the stamps are printed after the initial printing. 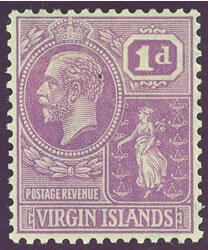 Today we have computer color matching, but during this time it was done by hand with components that might differ from the original ink formula. 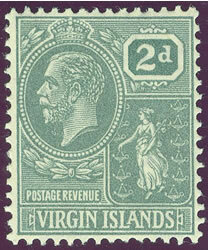 I like to place the stamps against black and then white paper and view them under a strong light. 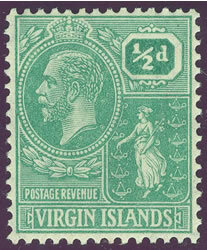 You really need to look at the back of the stamps to see the paper colors clearly. 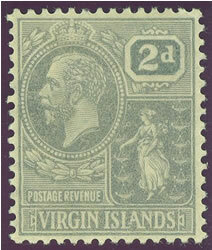 Please see this web site to view the various King George V era 3d yellow, 1/ green, and 5/ yellow backs. 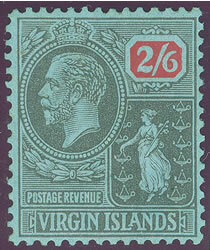 The images shown attempt to show the colors, but they do not show them as well as viewing the stamps in person. 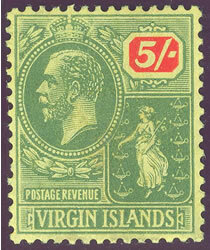 So use the images as relative indicators.